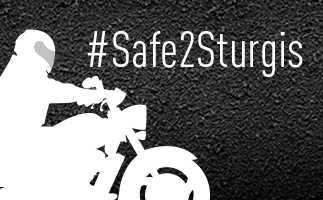 Annually, motorcycle fatalities spike within Region 8 (Colorado, Nevada, North Dakota, South Dakota, Utah and Wyoming) during the world-famous Sturgis Motorcycle Rally. NHTSA, in partnership with these six states’ Highway Safety Offices and law enforcement, worked with Hispanidad to create a public awareness campaign to increase “border-to-border” motorcycle safety, region wide. Messaging was aimed toward motorists — and motorcyclists — travelling interstates within each of the six states and included electronic variable messaging boards, social media and grassroots messaging involving interstate overpass signage and partnerships with Harley-Davidson dealerships.